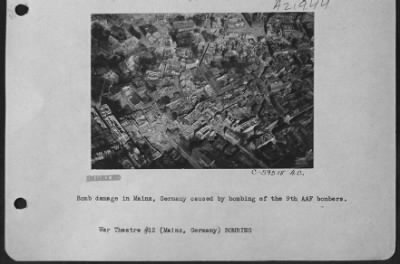 Bomb Damage In Mainz, Germany, Caused By Bombing Of The 9Th Aaf Bombers. Neg & print received 28 Dec. 1945 from Headquarters 15th AAF photo tech. unit, APO 696. Released 10 April 1946.